WINNIPEG - Manitoba Premier Greg Selinger faces the possibility of being ousted from office this weekend following an open caucus revolt that has left the governing NDP divided. Delegates to the party's annual convention will choose between Selinger and two of his former cabinet ministers — Theresa Oswald and Steve Ashton — in a leadership vote Sunday. It is a choice between a premier who has led the party as it sunk in opinion polls, a rebel who broke ranks to call out the leader and a long-time elected member who has never been appointed to a senior ministry. 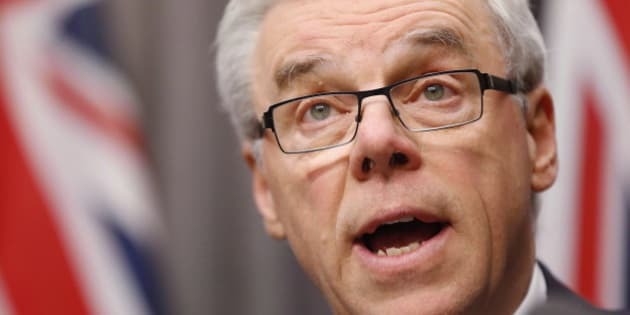 Selinger called for the vote after some of his top cabinet ministers, including Oswald, openly suggested he consider resigning to help the party bounce back from low polling — a result largely of the government's provincial sales tax increase in 2013. The race is by most accounts too close to call and is expected to require a second ballot. Like other parties, the provincial NDP requires that if one candidate does not capture a majority on the first ballot, the last-place finisher drops out and another vote is held. Delegates "can change their minds, and if it goes to a second ballot, all bets are off," said Royce Koop, who teaches political science at the University of Manitoba. Almost 1,800 delegates will choose between Selinger, who served a decade as finance minister before becoming premier in 2009; Oswald, a former health minister touted as a fresh, younger face for the party; and Ashton, a 34-year legislature veteran who has often found himself outside the government's inner circle. Selinger has the backing of inner-city delegates and some of the province's top union leaders, who are urging hundreds of labour delegates to support him. Oswald has been supported by many government staffers and advisers who used to work for Selinger, as well as by suburban and youth delegates. Ashton has strong support in northern communities and from new party members his team has signed up in recent months. The party's leadership selection process is complex. NDP associations in each of the province's 57 constituencies are granted numbers of delegates based on their respective membership levels. Unions and the party's youth wing are also awarded delegate slots based on the size of their ranks. NDP politicians and party officials are granted automatic delegate status. Whoever wins will have to reunite the NDP and work to win back public support before the next provincial election, slated for April 2016.